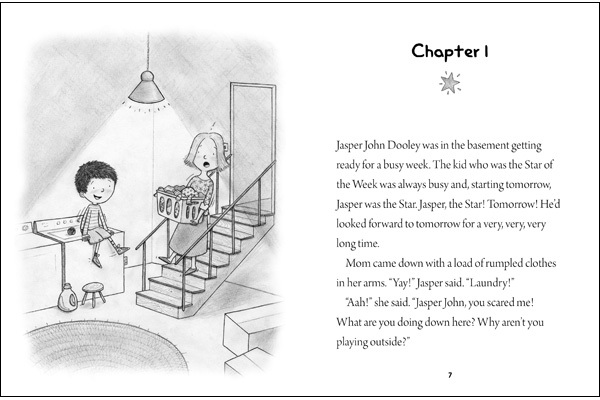 I'm thrilled to say that Jasper John Dooley: Star of the Week by Caroline Adderson and illustrated by me (my children's book illustration debut) is now available! You can get a copy from an indie bookstore near you, Barnes & Noble, or Amazon! About the book: At last, it’s Jasper John Dooley’s turn to be Star of the Week at school. Unfortunately, nothing turns out as planned. His Show and Tell falls flat. A new baby at his friend Ori’s house steals his spotlight. And worst of all, the new baby has only-child Jasper wondering if his own family is too small. When Jasper decides to build himself a brother (named Earl) out of wood, Earl’s schoolyard shenanigans send Jasper to the principal’s office! But with a little help from family and friends, things turn around for Jasper. And by the time Friday arrives, he is once again sure that he has what it takes to be a star. 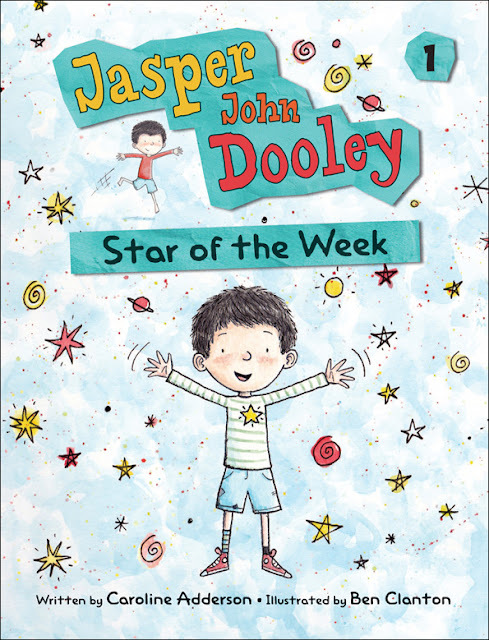 Jasper John Dooley: Star of the Weekis the first in a series of chapter books featuring a charismatic and funny central character. An only child with active, loving parents (and a most impressive lint collection), Jasper John Dooley is a true original. Irrepressible Jasper embraces his role as classroom Star of the Week. True, show-and-tell does not go as planned. His classmates are surprisingly unimpressed by his lint collection, but he has high hopes for Family Tree day. His best friend, Ori, has a baby sister (named “Wa-wa-wa-wa” for her incessant crying), and Jasper wants one, too. Stymied by his parents’ refusal to check the hospital for extra babies, Jasper fleshes out his family tree by building a brother out of wood. Like show-and-tell, having a wooden brother does not unfold as Jasper expects. 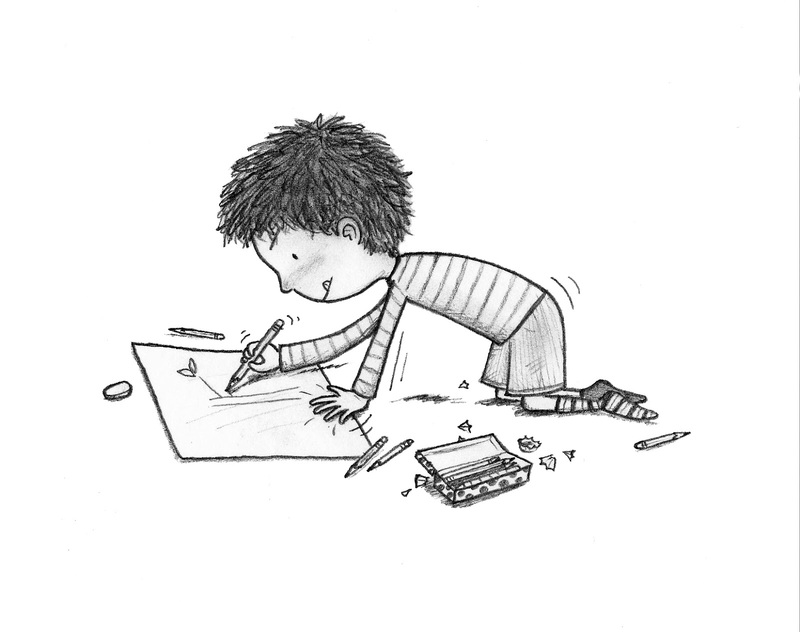 Characters are likable and quirky, and their exuberance is captured in intermittent pencil illustrations. This well-written, funny, and engaging story is a promising start to a new chapter-book series, and early readers will anticipate Jasper and Ori’s further adventures. Share with kids looking for a boy version of Sara Pennypacker’s Clementine series or with fans of Lenore Look’s Alvin Ho books. This first title in a transitional chapter book series introduces an enthusiastic boy full of creativity and everyday concerns. Line drawings in various sizes support his quirky personality and zeal. This title serves as an easier, male rendition of Sarah Pennypacker’s “Clementine” series. Jasper, an early-elementary student, is finally Star of the Week, but his enthusiastic expectations may exceed the reality of all that accompanies the treasured position… Lots of believeable dialogue enhances the brief, large print presentation. Written for those who have just transitioned to chapter books, this series opener includes simple yet attractive black-and-white illustrations every few pages. Nothing major happens, but Jasper’s day-to-day concerns are charming and funny. Readers will identify with many of Jasper’s comical, age-appropriate issues as he navigates the sometimes confusing complications of early primary school. 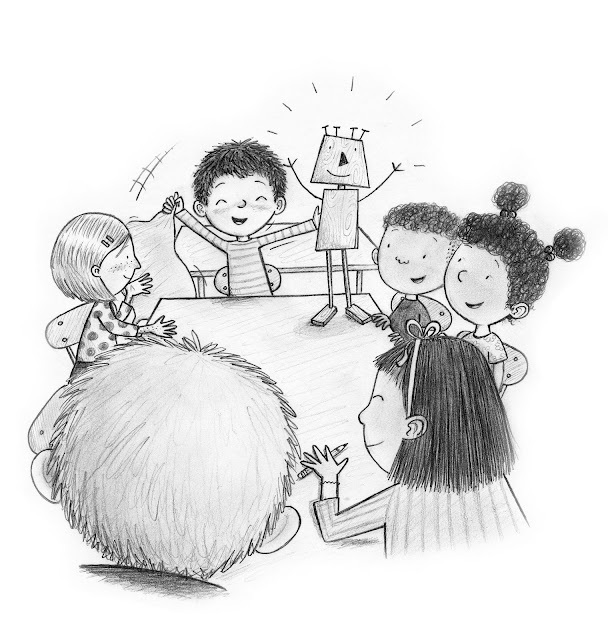 The above image is one of the illustrations from the book that I felt best about.